Is the new release from Wisconsin's Justin Vernon too crowded? This is another review that we are running a bit behind on, as the record was officially released in the US June 21st (though thanks to solid support from NPR the record was streaming weeks in advance of it's release). And then there was that snafu where iTunes made the full album available by accident on May 23rd, allowing a handful of lucky listeners grab the record before Apple "fixed the glitch." So why are we late on this review? Well, I'm not sure this isn't the kind of record that's digested quickly or easily. I'm probably 30 plus listens in, still trying to figure out what I think about it and how it fits into the overall Bon Iver catalog. To sum it up, I find Bon Iver to be a very different animal than the band's debut album For Emma, Forever Ago - at times only recognizable thanks to Justin Vernon's falsetto. What struck me most about Bon Iver when I first heard For Emma, Forever Ago was how stark and simple the music was. As if any instrument played was simply quiet background noise - allowing Vernon's voice to be the featured work. Vernon has even said that he recorded the album using the simplest of recording setups, his brothers old drums, and other items he found "lying around." That uncomplicated genius was striking when I saw the band live - with Vernon literally making the room stand still with his voice, an antique guitar, and a bass drum. Two instruments, one brilliant man - breathtakingly stark music. Their newest self-titled release is meatier. Lots of elements layered in - saxophones, drums, horns, echos, strings, noise, pianos, harmonies, rhythmic drumming, and what might be a bicycle bell. Sonically it's a bit too crowded for me. Justin's voice seems lost at times, competing for consideration amongst all of the other components. It's like a Cirque de Soleil show… you're just not sure where you should be focusing your attention. 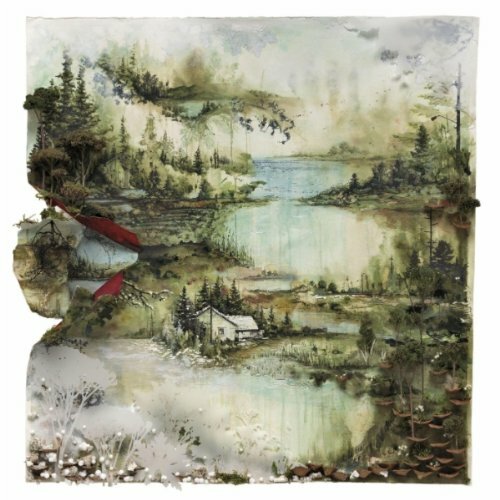 Bon Iver as a record also seems to lack definition - with many of the songs feeling the same. It's difficult to differentiate between the songs they all seem so alike. There doesn't seem to be a single that sticks in your mind when you're done listening to the record - it's almost like one long song. The record, which hit the US charts in the number two slot, is still a pretty little record. Vernon's voice and lyrical talents are some of the better on display today and I think his genius is without question. I prefer the more stripped down version of Bon Iver, but with some of the crap dominating the charts these days, I will take any Justin Vernon I can get.